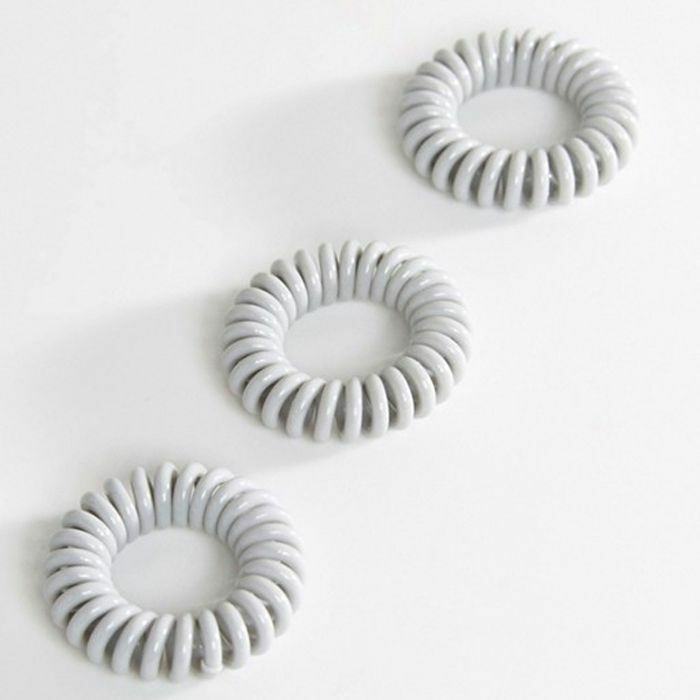 Our childhood may have been defined by the ruffled edges and velvety texture of the scrunchie, but if there was a hair accessory that epitomised our approach to hair this side of the noughties, it has to be the spiral hair tie. They first started appearing on the ponytails of early adopters a couple of years ago, but their mass appeal has since seen them revolutionize the way we wear our hair. They're so popular, according to Pinterest, that saves for spiral hair ties have increased by 2198% since last year. No longer must we put up with a post-pony kink or the tug of an unravelling bun—these clever little telephone wire–shaped bands allow you to style your hair exactly how you want, without a single bump. Plus, if you've ever tried one, you'll know they're way gentler than some of the alternatives. 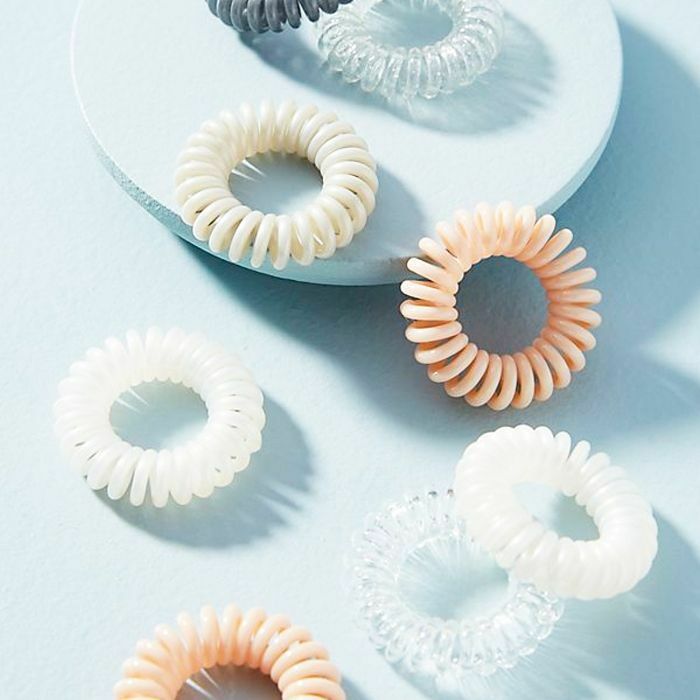 The good news: Nowadays, there are just as many spiral hair tie options as the number of scrunchies you could find on the walls of Claire's in the '90s. Below, we've pulled out just a few of our favourites. 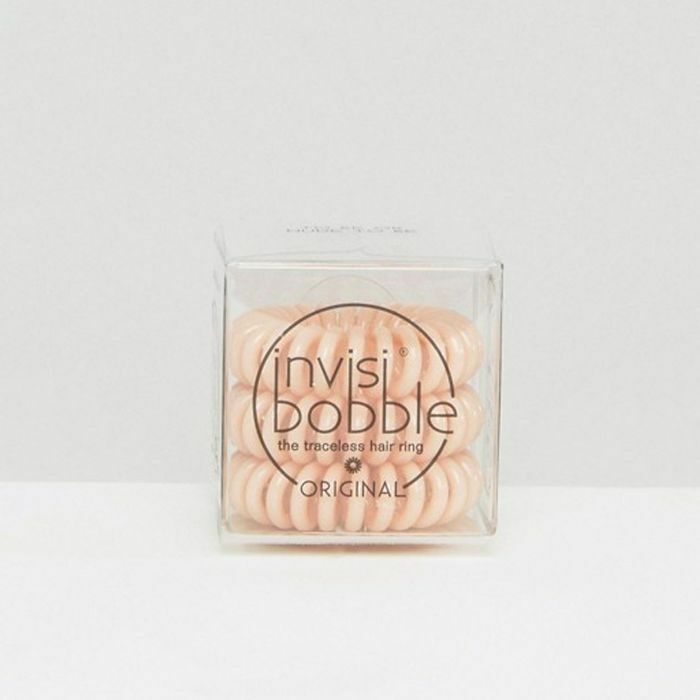 Invisibobble's bands come in so many colours now, but this peachy shade has to be one of our favourites. Anthropologie's set comes in a variety of cute colours. Want something completely inconspicuous? 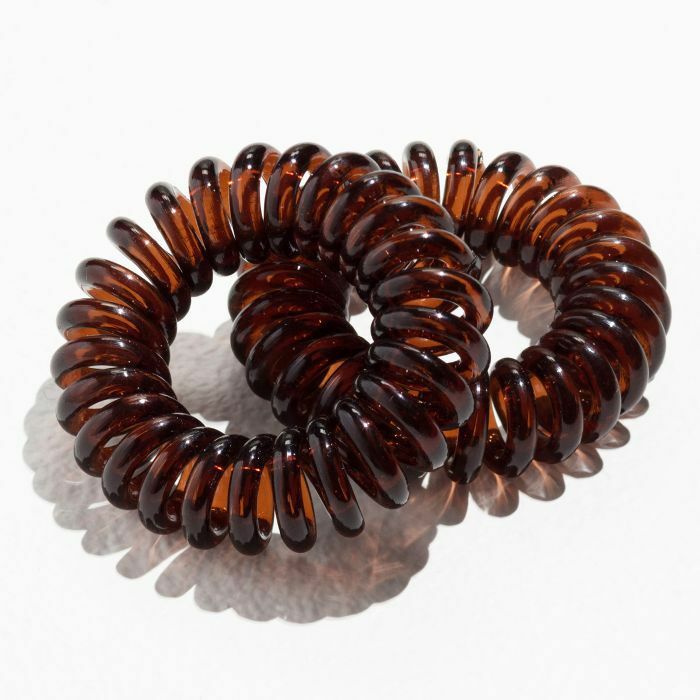 & Other Stories' spiral hair ties come in this almost tortoiseshell colour that will camouflage perfectly with brunette hair. 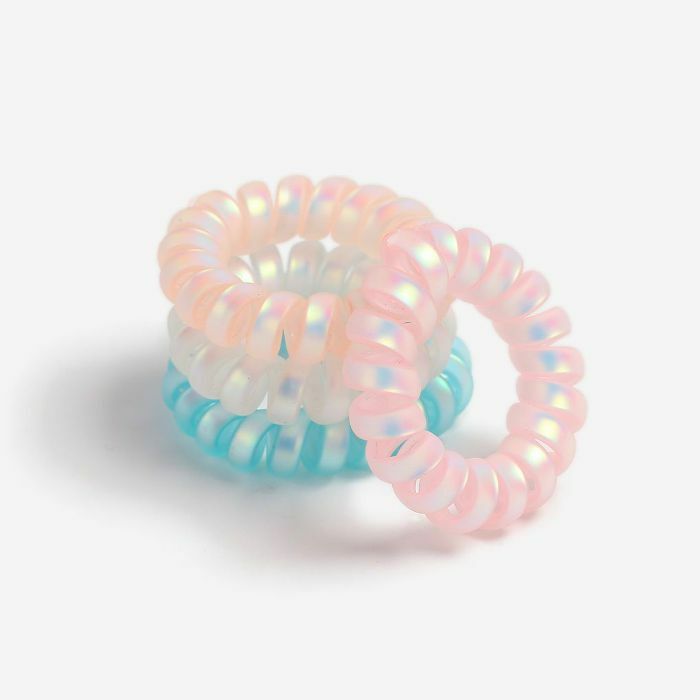 Yes, they have that iridescent shine that's become a hallmark of the mermaid trend, but Topshop's hair ties are anything but naff. Have you succumbed to the allure of the spiral hair tie yet?